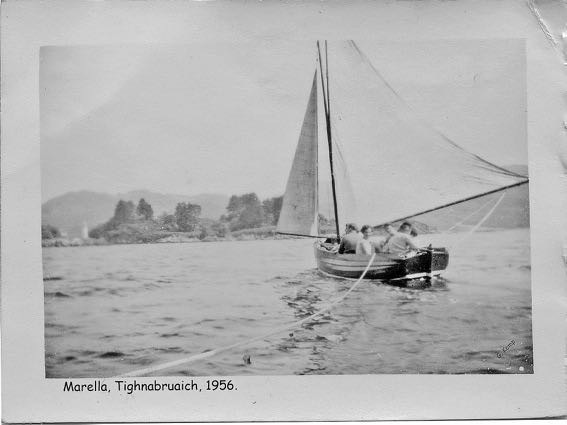 Tighnabruaich Sailing School is warming up to its 52nd season of training accomplished sailors, but how did it all begin? Robin Stephens started the school in 1965 when he bought 5 dinghies from his former employer, the Scottish Youth Hostel Association. For the next 34 years he took to the water during the summer months, along with his motley crew of keen young instructors. The Hostel in Tighnabruaich continued to play an important role being the popular choice of accommodation for the intrepid sailors. Under Robin's command, the sailing school flourished as he introduced more and more land lubbers to the delights of scudding along a wave, sails filled with a fresh wind on your face. 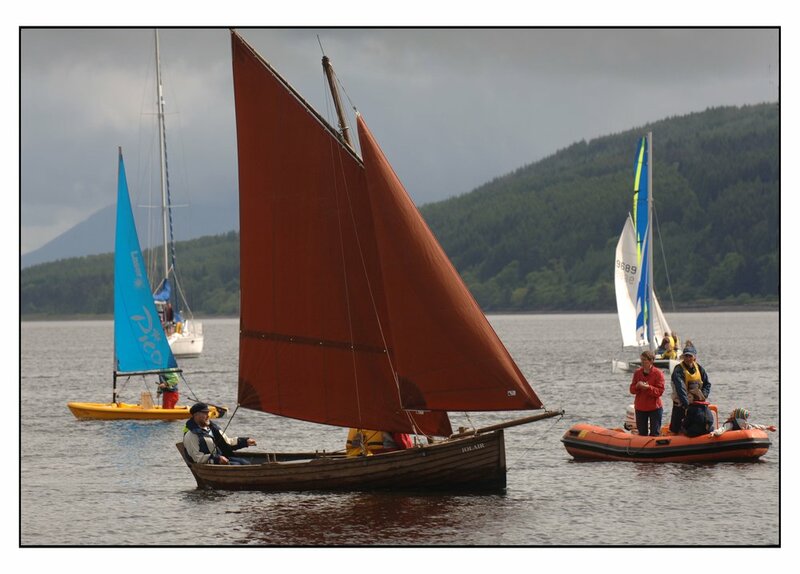 The first boats on the water were a mix of traditional wooden dinghies, mostly local designs, such as the Kyles of Bute Dinghy, Loch Long and Loch Fyne Skiff, many of which are still to be found out sailing on the Kyles of Bute. In 1981, a young man called Derek came on a sailing course, refining his skills honed at Newbiggin by the Sea sailing club, where he raced the popular Laser 1. Once bitten, forever smitten, and he came back to work as an instructor in 1987. The next year, Fiona joined as an instructor, and a new phase of the sailing school began! Robin with Derek and Fiona at the 40th celebrations. Derek managed the school for Robin for many years, before he took the helm, with Fiona alongside, in the spring of 1999. Robin enjoyed retirement, watching the dinghies sailing past his sitting room window and found the time to pursue his other passion, painting. Of course, he still kept an eye on the lunchtime forecast, a routine that was by now well embedded into his daily activities! Sadly, Robin died in 2007, but his legacy continues to grow from strength to strength. 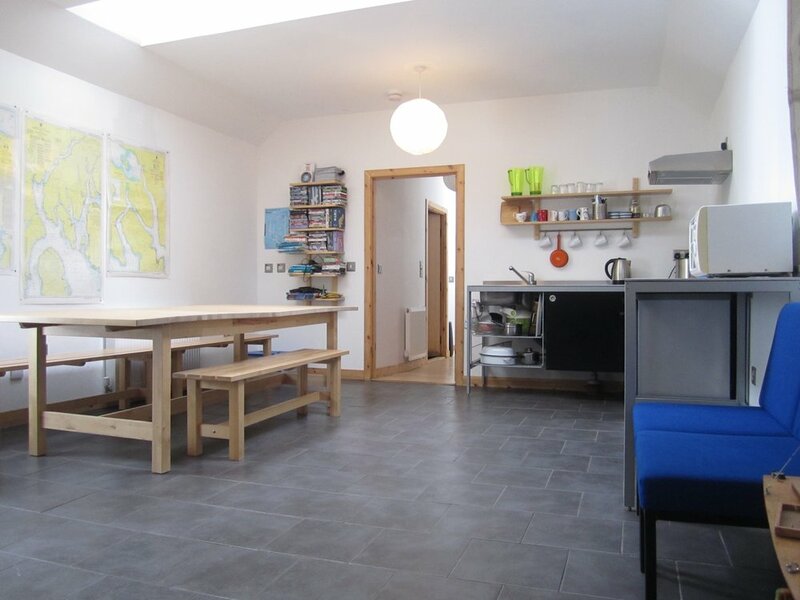 Derek and Fiona moved the sailing school to Carry Farm to allow for expansion into the residential market, as by now, the SYHA had closed the hostel in Tighnabruaich. 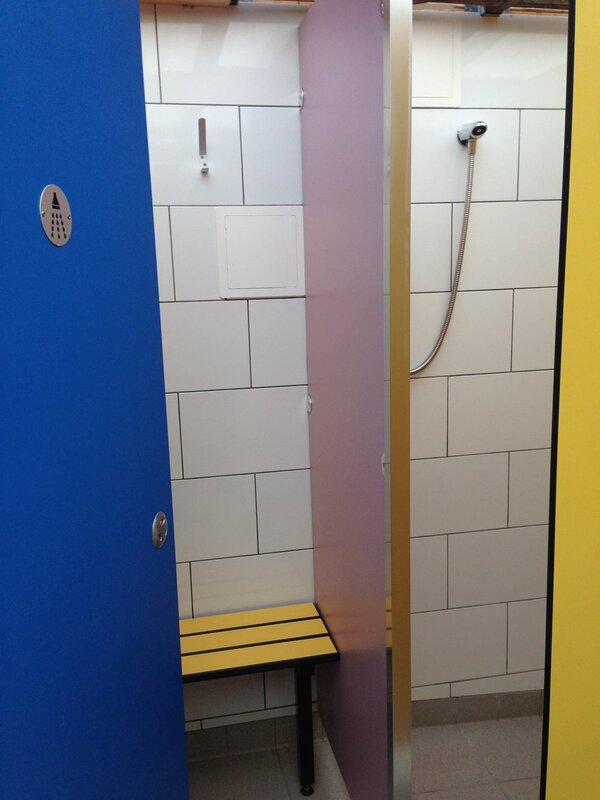 Chartroom and shower facilities were built to provide an on shore training area, crucial for those wilder days when getting out onto the water was tricky. We cannot direct the wind, but we can adjust the sails! Tighnabruaich Sailing School has weathered many storms during its 52 years, not least the chill winds from subsidised local authority run centres that popped up during the early 80’s. 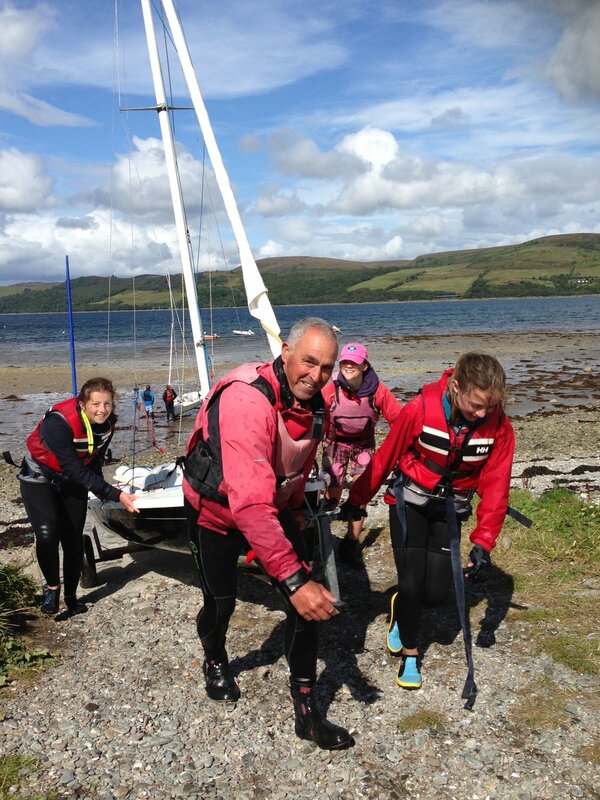 However, outdoor activity has never been so popular as it is now, and combined with the glorious backdrop of Argyll’s Secret Coast, has helped Tighnabruaich Sailing School ride a wave at the top of its game. Not many centres, if any, have survived so well for so long, it has never been so easy to be Wild About Argyll! 6 day courses have been replaced with a combination of 5 day, weekend or flexible private tuition to ensure as many sailors as possible have the opportunity to learn the ropes. Tighnabruaich Sailing School is unique in Scotland in that it is the only privately run, coastal dinghy sailing school. Many centres are run from inland lochs, however, once you have sailed at Tighnabruaich, you soon learn it is not a patch on the real thing! Instead of a superficial tasting of a variety of sports, Tighnabruaich concentrates on one, with a high standard of teaching at all levels. The school has massively benefited from the continuity of management style, with a seamless transition between Robin and Derek - both having a passion for sailing and love of the sea. And a measure of this success is the fact that every year, around 70% of customers return to learn more. It can only be a good sign when grandchildren of original instructors now attend the Sailing School, having listened to many a yarn of happy memories of summers messing about on boats. Ex-instructors gather at the 40th celebrations in 2005. Royal Yachting Association courses are available for all levels of ability throughout the sailing season. Powerboating courses compliment the dinghy sailing, helping to train water sport enthusiasts on the art of staying safe and boat control. Of course, the fleet of dinghies has also moved with the times and there are now more than 25 moulded, plastic, modern designs, which not only require less maintenance than the traditional wooden dinghies, but overall help to speed up the learning process. 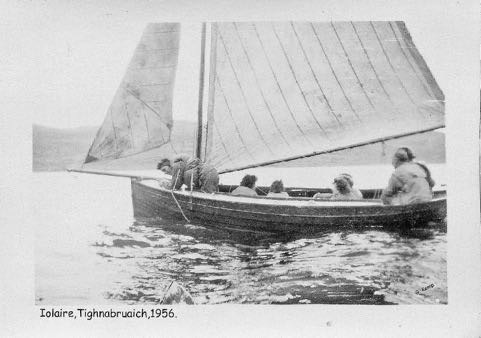 Throughout its 52 years, thousands of sailors have learnt to sail at Tighnabruaich, many of whom return again and again, captivated by the mystical lure of the area. 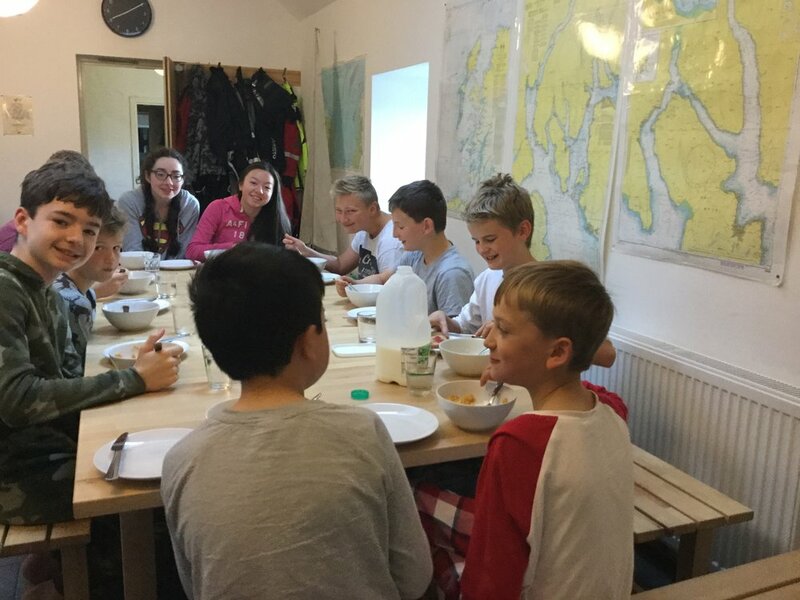 Tighnabruaich Sailing School continues to inspire another generation of future sea-farers, providing residential and non-residential courses for adults and children from the age of 8. Is it time you took to the sea?